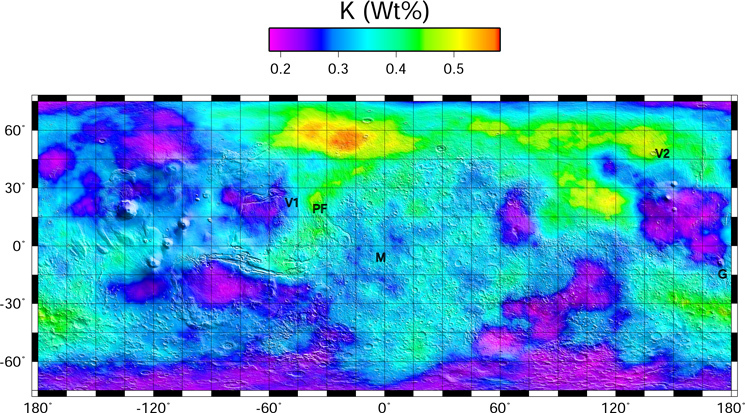 This gamma ray spectrometer map of the mid-latitude region of Mars is based on gamma rays from the element potassium. Potassium, with the chemical symbol K, is a naturally radioactive element that exists in rocks and soils in small amounts. Regions high in potassium content appear red and yellow; regions low in potassium appear violet and dark blue. The distribution of elements such as thorium and potassium provide insight into processes that have formed and altered the rocks found on the martian surface. The lower values for potassium shown at the polar regions of the map are most probably due to dilution of the soil by large amounts of water ice. The locations of the five successful lander missions are marked. The locations of the five successful lander missions are marked: Viking 1 (VL1), Viking 2 (VL2), Pathfinder (PF), Spirit at Gusev (G), and Opportunity at Meridiani (M). 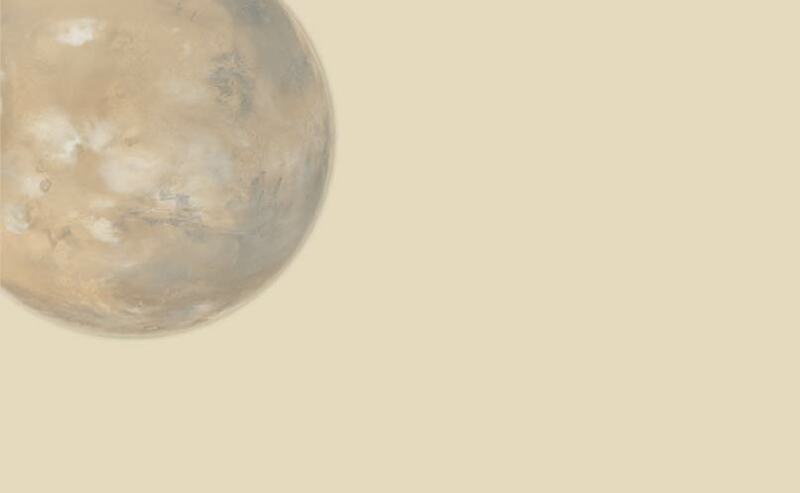 Data for this map and other elements mapped by Mars GRS are available at http://grs.lpl.arizona.edu/specials/.